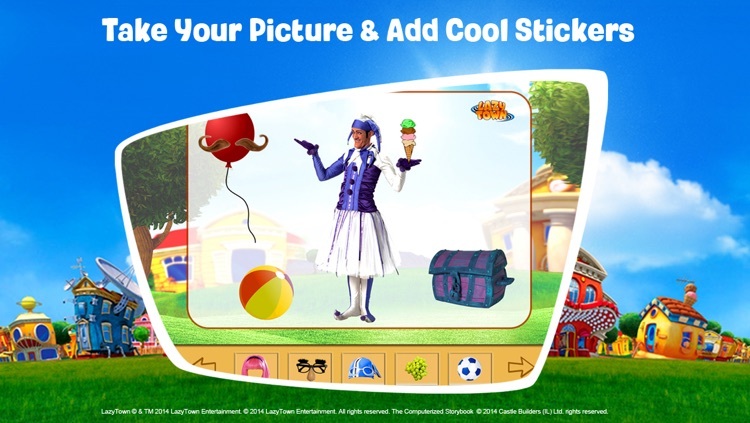 From the company that brought you Kung Fu Panda 2 Interactive Cookbook, Sony's Hotel Transylvania Movie Storybook app, LazyTown's BooClips, Garfield's Pet Force Storybook, Hello Kitty Piano Music Play-Along and many more! 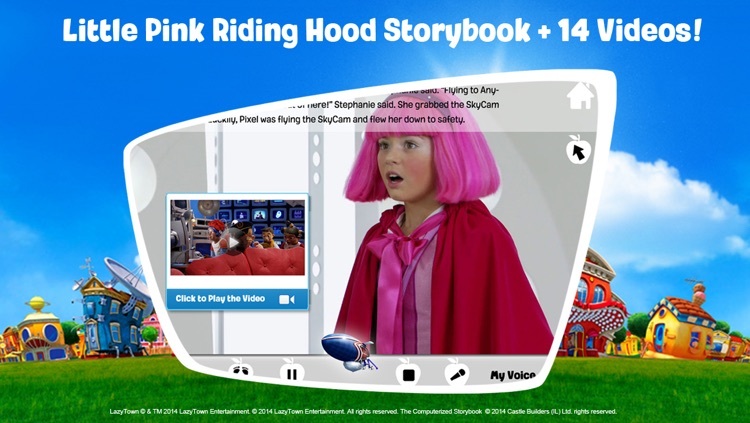 LazyTown's Adventures premium app offers a great deal of content including 20 HD videos! 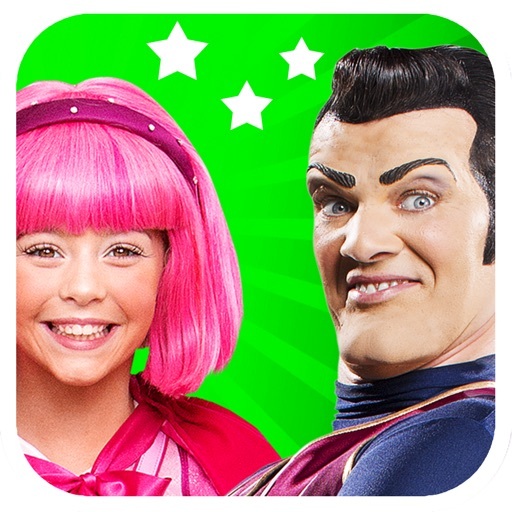 On LazyTown's Little Pink Riding Hood, Stephanie has a present for Sportacus but Robbie wants it so he disguises himself as a Wolf but when that plan fails he gives Sportacus a sugar apple causing him to have a sugar meltdown. Robbie disguises himself as Sportacus so that he can take the surprise but soon the airship is out of control with Robbie inside and the only one who can stop it from crashing into Pixels house is Sportacus. 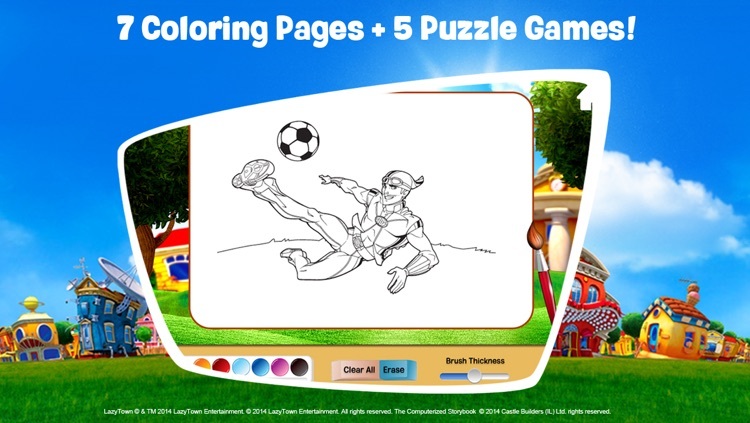 It is up to the kids to get the sportscandy to Sportacus so that he can save the day. 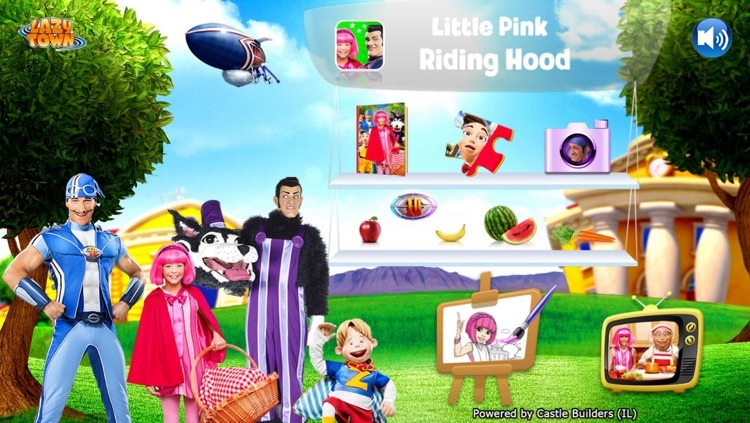 This delightful app is perfect for teaching children on how to lead a healthy lifestyle in an enjoyable way. 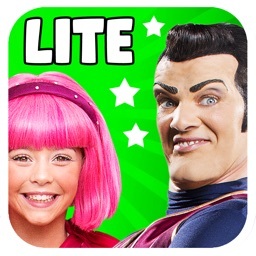 Following a line of successful and award-winning apps by LazyTown and Castle Builders, this app is both entertaining and useful, allowing parents to spend quality time with their children, both in the kitchen, in the car, at home or while on vacation!